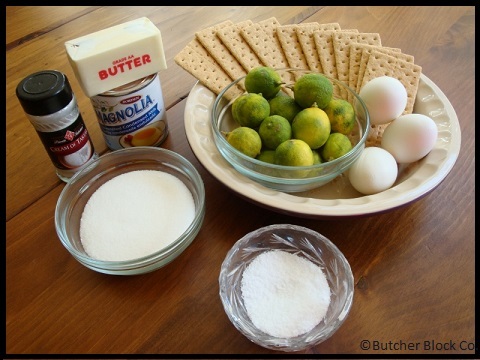 Key lime pie is one of my favorite desserts ever, yet I have never made one! My dear friend and food idol, Claire Hoenke, has been talking lately about how good her key lime pie is, so I decided I needed some and picked one up from the store on my way to a Memorial Day BBQ. Big mistake. Big. Huge. The flavor was just okay, but the pie itself was tiny! Who brings a 7″ pie to a BBQ? (I do, obviously.) I had to wait until everyone else had left so I could split it with my parents. There’s not a whole lot worse than disappointing pie, so I hereby vow to never again get my key lime pie fix from a grocery store. Thankfully Claire was around to send me pictures of her gorgeous practice pies to further solidify my resolve. She also made me cry with this post, and because of that, I will never forsake key lime pie again. Claire has inspired me to make a real key lime pie for Father’s Day. Let’s see if she can inspire you, too! Take it away, Claire! I grew up in west Michigan. There, the summers are short and intense, and the winters are long, and also intense, and they don’t usually let up until June. Luckily for us, my mother’s family all lived in Miami, so every spring, we would pack up and head down there to defrost early. For our spring trips down, we would make my Nana’s house our home base, and spend the entire vacation bouncing between there and our various favorite swimming holes. Between the beach and my uncle’s pool, though, we ate. We ate Cuban sandwiches from street vendors, black beans and rice and fried sweet plantains from local restaurants, and the mother of all custardy desserts, key lime pie, from every place we could get our hands on it. That flavor, the tart sweetness of a key lime pie, has stayed with me, and Nana made a fantastic key lime pie. For me, no other food so perfectly embodies not only my memories of Miami, but also of my Nana in particular. woman I have ever known. Though she lived the majority of her life in Miami, she hailed from New York, and she always maintained her New York accent and sensibilities. 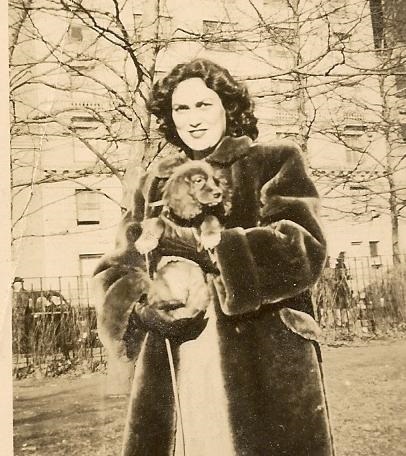 In a home movie my mom found of my Nana showing off their first lawn in upstate New York, she pushes a lawn mower around the yard in a mink coat and high heels, a wide grin across her face. Though she was older when I knew her, she still led an active and busy life. She was always glad to see us, but I suspect that she was just as glad to see us go so she could get back to it. She was sassy, brash, and hip. She was the kind of woman I wish I could be. 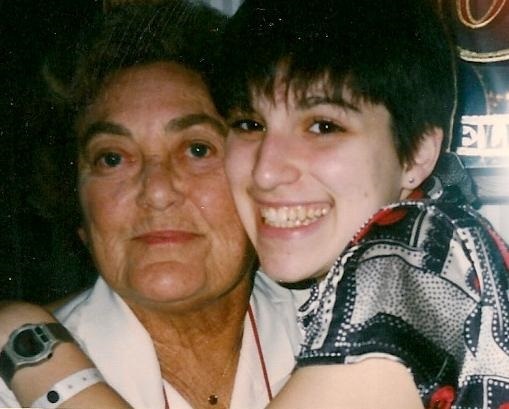 She passed suddenly from heart failure not long after her 80th birthday, and when I remember her, it hits me like that first bite of a slice of key lime pie. I close my eyes against it at first – the sour, biting taste that inevitably brings tears. But then I let the sweetness of her love wash over me, and I revel in my memory of her. She led a rich, complex life, and maybe it seems reductive of me to remember her with dessert, but I find it comforting to put my love for her into a rich, complex pie like this. My Nana was not exactly known for her culinary prowess, but this dessert is so simple to make, even she was able to master it. I like a sweet Italian meringue topping to balance the tart filling, but you can also top the pie with whipped cream, if that is your preference. Or, you could go whole hog and do both! Preheat the oven to 350°F. Crush the graham crackers into fine crumbs, either with a food processor or a plastic freezer bag and rolling pin. Mix the dry ingredients together, and then add the butter and stir until it is evenly distributed. Dump the whole thing into a 9″ pie plate and press it down against the bottom and sides. You can use a measuring cup for this, but I like to finish with my hands because it’s easier to feel where the crust seems uneven that way. Pop the crust into the oven and bake it for about 6 minutes, and then set it on a rack to cool while you make the pie filling. Start with your limes. Theoretically, you can use Persian limes for this pie. It’s true that they are an easy shortcut, but they do not produce the same results. For the famously bright, punchy flavor, key lime juice is an absolute must. While bottled key lime juice is available in some places, it’s generally been concentrated and preserved, and it does not taste as good as the fresh stuff. I let my key limes ripen until they start to turn a bit yellow for the best flavor, and I use a Persian lime for a more fragrant zest. My advice is to juice the limes over a fine mesh sieve to avoid going back to pick out the seeds and pulp. In a medium bowl, gently beat the egg yolks and the lime zest until the yolks are pale and thick. Add in the sweetened condensed milk and beat until the mixture is pale and thick again, about 3 more minutes. Pour the lime juice into the mixture and whisk until it is evenly combined, and then set the bowl aside. In a separate bowl, and with clean beaters, beat the egg whites until they start to foam up, and then add in the cream of tartar. Continue beating until stiff peaks form. Set aside. In a small saucepan, stir the sugar and water together over medium heat until the sugar is completely dissolved and the syrup starts to bubble. Continue to heat until the syrup reaches soft ball stage, around 236°F, and then immediately remove it from heat. With the beaters going on their slowest speed, carefully add the syrup to the egg whites in a slow, thin stream until it is completely incorporated. Turn the mixer up and beat on high speed until the outside of the bowl is cool and the mixture is glossy and smooth. Add about a cup of the meringue mixture to the pie filling and gently fold it in. Pour the filling into your crust and bake it in your 350°F oven for 15 minutes. 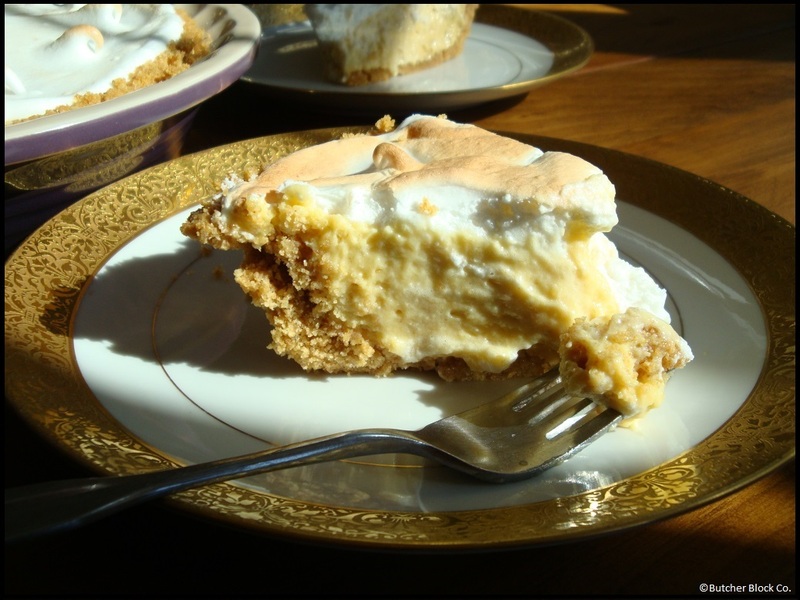 Remove the pie from the oven and spread the rest of the meringue over the top. I like to use a spatula to create a design with peaks in the meringue for extra crunchy bits. Return the pie to the oven for another 5 minutes, and then turn on the broiler to brown the meringue for about 30 seconds to a minute. Once it starts to brown, it goes quickly, so be sure to keep an eye on it, or it will burn! Cool the pie for at least half an hour, and then pop it into the refrigerator for 4 hours before serving. In my experience, this pie tastes best when it’s served on Nana’s fancy plates. What wonderful memories and tastes. Thanks so much for sharing. I’ve never put the meringue into the filling before. I’ll have to try that. Mixing the meringue into the filling was a new concept for me too, but it made such a fabulous texture, I’ll never do it another way now.